Need help picking a JetDirect card? Check out our handy reference guide here. No longer available or recommended. 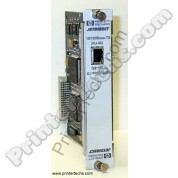 The J6057A has a higher failure rate than other JetDirect cards. We recommend the following as better replacements: Please see the J7934A (J7934G) cards. NOTE: Stock is limited for this item; please call us for availability and to order. 866-352-7108. 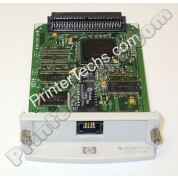 Also see J4100A which is also a 10/100 card with the same form factor. 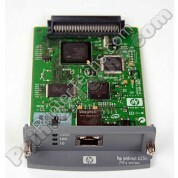 HP JetDirect J7960G 625N Gigabit model JetDirect card (for 10/100/1000BaseTX Ethernet networks). Compatible with most newer-style printers. Stock is limited -- please call for availability, 866-352-7108. 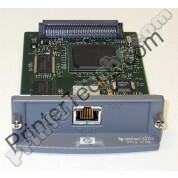 HP JetDirect J7997G 630N Gigabit model JetDirect card (for 10/100/1000BaseTX Ethernet networks). Compatible with most newer-style printers. 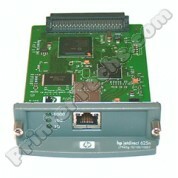 Gigabit model JetDirect card (for 10/100/1000BaseTX Ethernet networks). Compatible with most newer-style printers.